Deepika Padukone and Ranveer Singh went to the Filmfare Awards together and returned home with one trophy - Ranveer's Critics' Best Actor Award. Deepika, who was nominated in the Best Actress category for "Padmaavat" lost the spot to Alia Bhatt, who won big for Raazi that night. "Padmaavat", which had the highest number of nominations with 17 nods, won 4 trophies in categories like Playback Singing, Best Album and Choreography. After Deepika's zero score at the Filmfare Awards and "Padmaavat" losing in the major categories, some fans of the actress appeared visibly upset and dismissed Bollywood's biggest night as "paid awards." 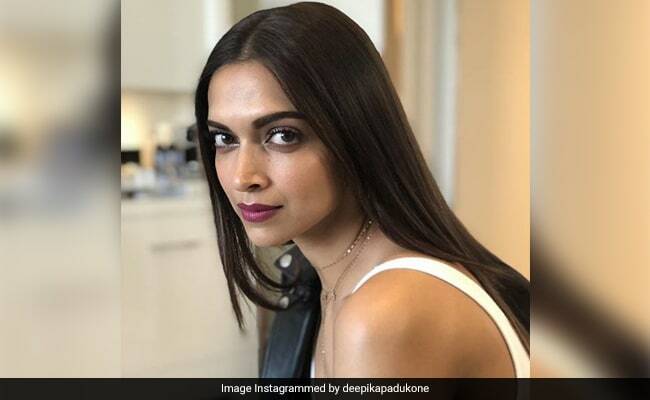 Meanwhile, on an Instagram fan-page named 'deepika.padukone.fanpage', the actress posted an apology of sorts for "letting her fans down" and promised to return with a stronger body of work: "To all my fans, I am sorry to let you down and promise to work harder than ever before. Upwards and onwards," her comment was spotted. Deepika and Alia were nominated for the Best Actress Filmfare Award along with Neena Gupta (Badhaai Ho), Rani Mukerji (Hichki) and Tabu (Andhadhun). Neena Gupta won the Critics' Best Actress Award for Badhaai Ho while Ayushmann Khurrana tied with Ranveer for the Critics' Best Actor Award. The Best Film Award went to Raazi with Meghna Gulzar winning Best Director for the film. Raazi's fifth and final award was Arijit Singh's Best Male Playback Singer for Ae Watan. A big feeling I have been feeling off late is gratitude.. Meghna Gulzar - to me first - raazi and everything about raazi is you - your effort, your tears, your love, your care it's you you you and just you.. I love you main chick The entire crew, all actors including my beautiful mother, jaideep and and vicky my iqbal without whom this world wouldn't have come alive.. This is your win too so thank you...I have soo much to be thankful for.. My mom & Dad who have always let me breathe & been my friends first My friends Ayan, Abhi, Kanch - my pillars - who are like my bothers and Sisters My sister - for just being my sister My team - My tribe - Grish, Punnu, Boru , Sanju, Ami, Amol, Sunil.. everything I achieve is yours first then mine Filmfare - thank you for my award and for once again making me want to dream & scream.. The audience the people that are the reason I or any of us are here.. I promise to always work as hard as I can to try and always entertain My mentor, my guardian angel and my fashion police.. who tells me how proud he is but also how I need to stay simple.. Thank you karan for making my life so so so special.. And last but not the least MY special one - the one that makes my heart smile and eyes shine And shine I will.. Because there's soo much to do in life.. And this is just the beginning. Looks like Deepika is already embarked on her "upwards and onwards" journey as she got everyone talking about her new film Chhapaak, in which her character is based on acid attack survivor Laxmi Agarwal. Deepika's first look as Malti from the movie received massive appreciation. Chhapaak is being directed by Fimfare Best Director-winner Meghna Gulzar. Deepika Padukone's Chhapaak hits screens on January 10 next year.